Junk in a pouch. It takes a lot less time to make a sandwich from jars of real peanut butter and jelly than it does to thaw one of these things. If you would ordinarily sprinkle artificial flavors, colors, preservatives, hydrogenated oils, high fructose corn syrup, and azodicarbonamide on your lunch, then there might be a time savings there. 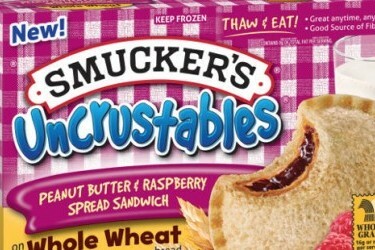 Maybe they should be called “inscrutables” instead.